Biz Tips: Do You Know Your Score? I could go on and on with statistics that talk about the importance of online reviews. Just like word-of-mouth, you can never underestimate the role that your current customers have on your business’s ability to get more customers. But, do you know what the likelihood is of your business getting positive word-of-mouth or online reviews? First developed in 2003, the Net Promoter Score (NPS) is a methodology that measures the “loyalty” of your customers, or the chance that your customers will recommend your business to other people. The Net Promoter Score is a result of your customer’s experience (CX) with your business, product or service. NPS has gained popularity and is implemented from customer service touchpoints to sales touchpoints and virtually everywhere in-between. 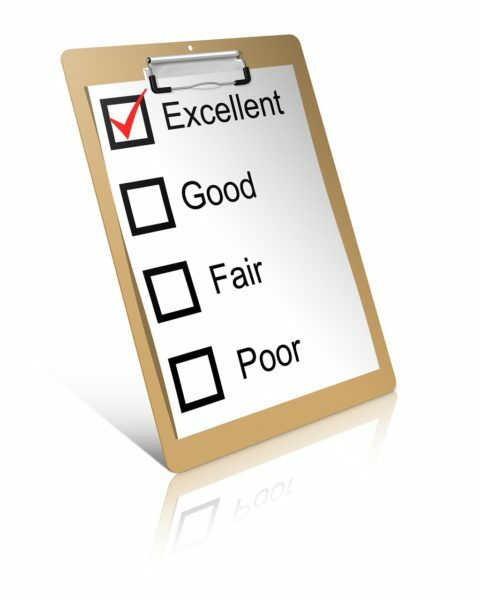 To get your NPS you have to implement a scoring system that is made up of two types of surveys. The first survey is typically a two question relationship survey. The second survey type is a multi-question transactional survey. This is the most often used form for determining a company’s NPS. It can be a simple one question for that asks the recipient their likelihood of recommending your company to a friend or colleague. The recipient then can score your company on a 1-10 scale. Based on their score of your business, they are then assigned to one of the three categories that we explained above. Promoters: These are people that have given you a score of 9 or 10. Generally, these are loyal and possibly even enthusiastic customers that are highly likely to recommend your business. Passives: These are the people that have given you a score of 7 or 8. You’ll find these people are typically satisfied with your company but could be easily swayed away from doing future business with you. Detractors: These are the people that have given you a score of 0-6. They are generally unhappy customers with a large probability of not recommending your business and will often time leave negative reviews about their experience. There are two components to this relationship survey. The first is the scoring component. The second is the follow-up qualitative question “Why did you give that score?”. This question is not as easy to “score” as the first question, however, it provides extremely valuable insights and information as to the reasoning behind the customer’s scoring of your business. The goal behind this relationship survey is to find the patterns behind the Promoters, Passives, and the detractors. Then, use that information to do more of what the promoters like and less of what the detractors don’t like. While the relationship survey measures your customer’s loyalty or likelihood of recommending your company. The transactional survey is designed to measure your customer’s opinion of their most recent transaction with your company. Transactional surveys are very valuable and can help you really fine tune the operations end of your business. However, generally speaking, transactional surveys work best if your business is a high transaction business. In other words, if your business is retail, transactional surveys will work better than if you’re in a B2B service industry with fewer daily transactions. Ok, now you’re collecting all of this information, how do you come up with your NPS. Now you have a baseline that you can use to start measuring improvements within your business. I think I know what you’re thinking, right now. No way will I ever have the time to keep something like this going! Your concern is valid. Executing an NPS program can be very time consuming and the busier you get, the more difficult it is to keep going. But, we have a solution for you. In a word the solution for your NPS program is Marketing Automation. Well, ok that’s two words, but you get my point. Marketing automation can be set up to send your relationship survey at specific intervals of your business relationships with your customers (i.e. maybe on the anniversary of when someone started doing business with you). Marketing automation can also be set up to send a transactional survey after every transaction that you have with your customer. Nope, it doesn’t matter if those transactions are every day, every week or only a couple times a year. Marketing automation can also be set up to send out reminders for people that haven’t filled out the surveys or it can send out thank you notes to the people that have filled out the information. Now, with marketing automation, all you would have to do to execute an NPS Program is decide to do it. The execution of the program can be completely automated. Biz Tips: Will Your Marketing Idea Become a Household Term?